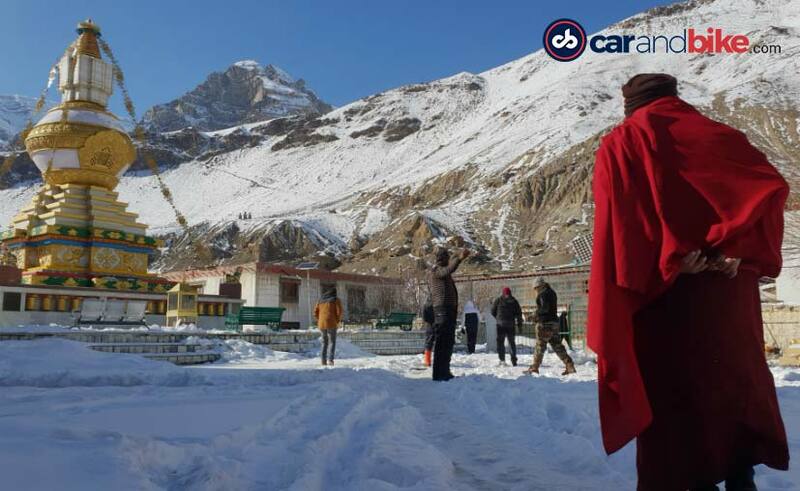 Spiti Valley in winter is unlike anything you have ever seen! I am at peace when I am behind a wheel! Ever since I started out as an automotive journalist, I figured that driving or riding helps me calm my frayed nerves, soothes my mind. A good long distance drive feels like meditation to me. 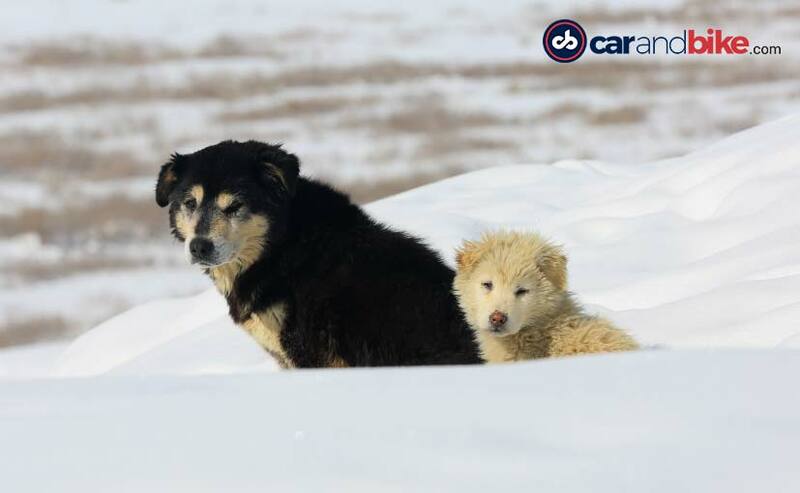 And if you add snow-clad peaks, winding roads, smiling villagers and the occasional stray dog coming up to you and licking your face, it is perhaps the most effective form of therapy that you could get! I was itching to get behind a wheel, go on a long road trip and detach myself from office for a week. And bang on cue, I had the good fortune to get in touch with one Mr. Puneet Sharma, who is one of the partners in a company called 'Adventure People'. What Mr. Sharma offered us, had me salivating. No, it wasn't food. Or maybe it was, for the soul. 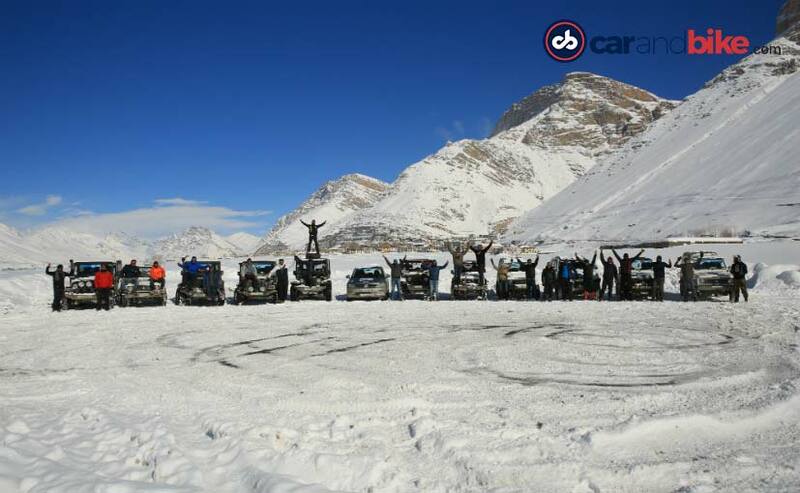 He was taking a bunch of off-road enthusiasts from Bengaluru for a winter trip to Spiti and asked us if we would like to tag along. I wasted little time, convinced my boss, and asked Azam, my colleague, if he will be game for a long drive! Immediately, his eyes lit up and the first thing that we did was hit a local sporting goods store, equipping ourselves with good winter gear. 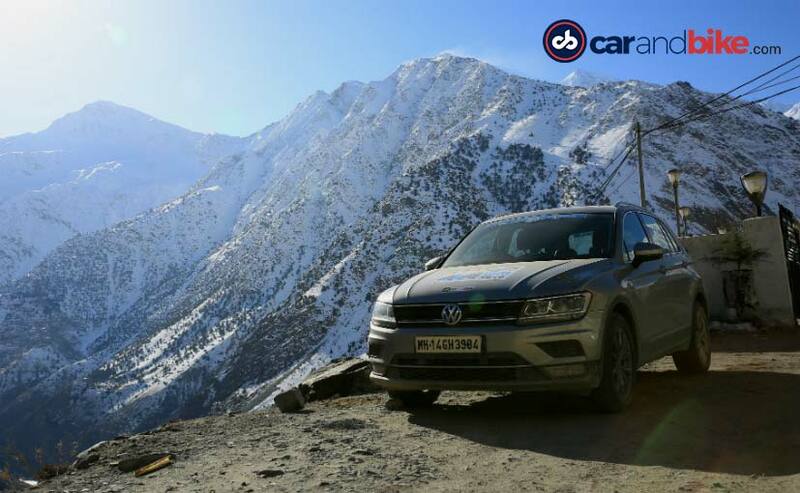 A week later, on a bright Monday morning, Azam and I left Delhi in a Volkswagen Tiguan SUV, not knowing that this road trip will change me in ways I had never imagined! The first day was a simple drive from Delhi to Narkanda, or so I thought! It was a distance of 400 kilometres, easily doable. 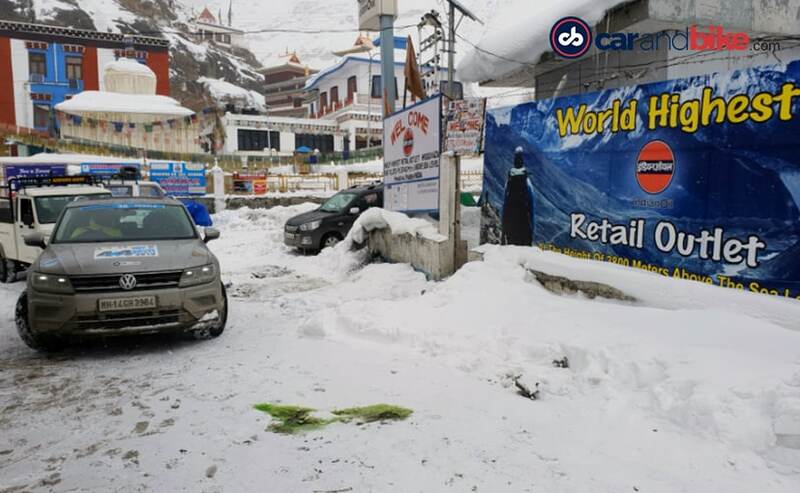 While the drive from Delhi till Shimla was uneventful, it was the last 70 kilometres to Narkanda which proved to be little tougher! Climbing up, the temperature quickly dipped to zero degrees and it was snowing heavily. What made the going tougher was that the tarmac was covered in black ice in bits and pieces! I inched the Tiguan forward, with it sashaying and swaying like a drunken hippo and that's when I realised that it had a 'snow' mode. One turn on the rotary knob and it made going forward so much easier! At last, we reached Tethys Ski Resort, where we were going to put up for the night. 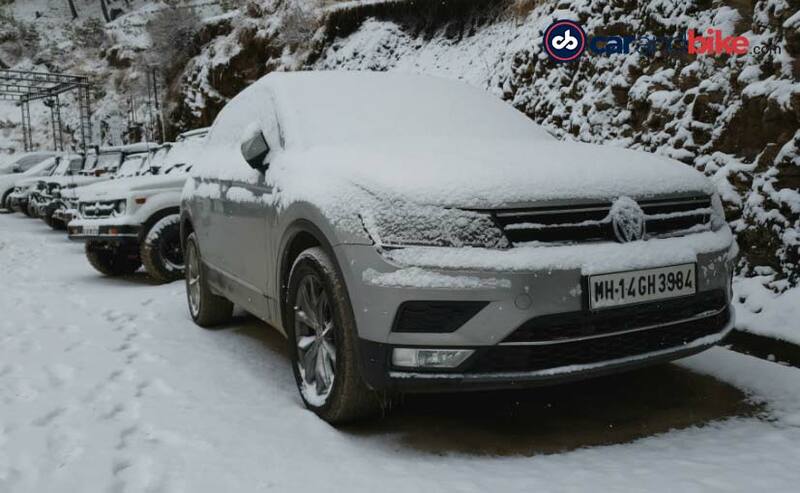 Till the time we were inside the Tiguan, we didn't realise how cold it was outside and as we opened the doors and go out, a blast of frigid air welcomed us, setting the chill in our bones. Quickly, we went to our allotted rooms and first thing we did was to turn on the room heater to maximum and poured two cups of piping hot lemon tea in us! Over dinner, we met our host and expedition leader, Sanjeev Dogra, who briefed us over dinner on what was in store for us over the next 5 days. We would attempt to reach Kaza, a tiny town in heart of Spiti valley. 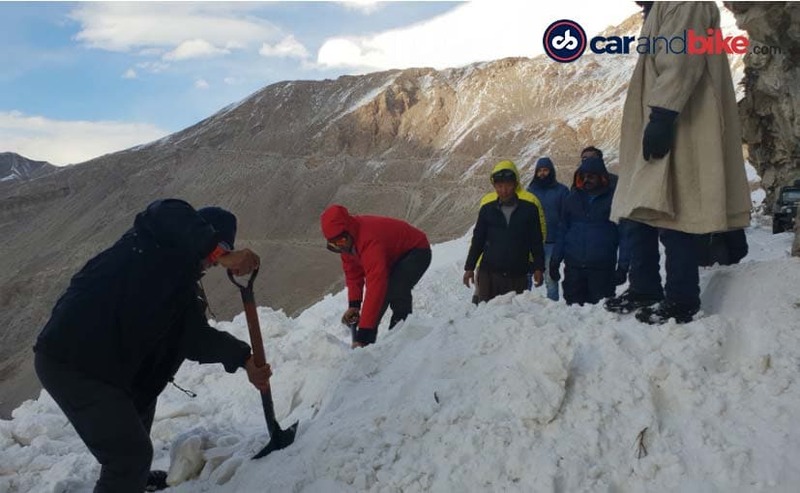 Some of the challenges on our way would be heavy snowfall, sub-zero temperatures, avalanches, bad-bad roads and high altitude. Cakewalk, or so I thought! With the alarm ringing at 7am, I got up, bubbling with excitement, took a leisurely bath in hot water and got ready for our drive to Pooh. Yes, the name is the same as Winnie the Pooh! It is small hill town, very close to the Indo-China border. 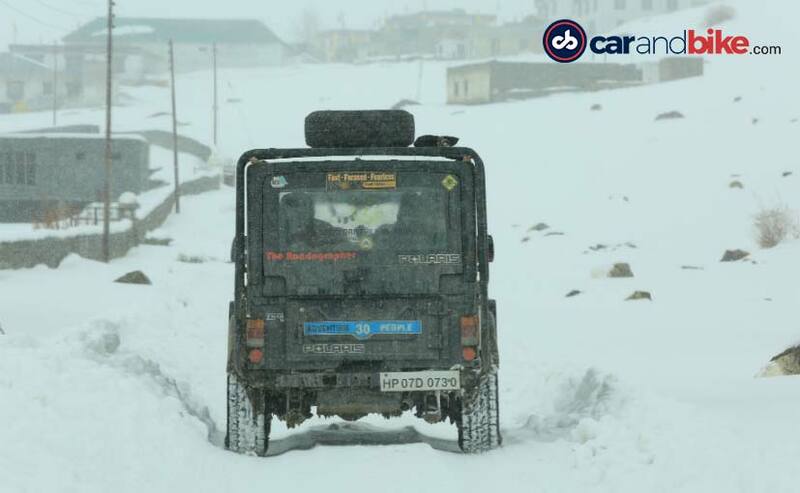 Snow was hardly to be found on this route, but it made for an absolutely scenic drive through the Tripeak area of Kinnaur district, Right before you hit Pooh, there is a road sign put by the BRO or Border Roads Organisation, which says, "You are driving through the most treacherous road in the world". It sure was treacherous, with loose, sharp rocks on dirt roads and the road itself had been carved into the side of mountain with loose rocks hanging over! We even managed to pass through ginormous mound of snow, which was almost 4-5 stories high. We reached Pooh right after it got dark and put up at the PWD guest house. While it was basic in nature, it offered spectacular views and dinner consisted of sizzling barbeque chicken, by a bonfire, which we devoured by the bucketful, washed down with some more tea. By this time, we were getting to know the Bengaluru boys better and had a lot of discussions on off-roading and how they kitted up their Gypsies and Thars with high-lift kits, block tread pattern tyres and what nots! 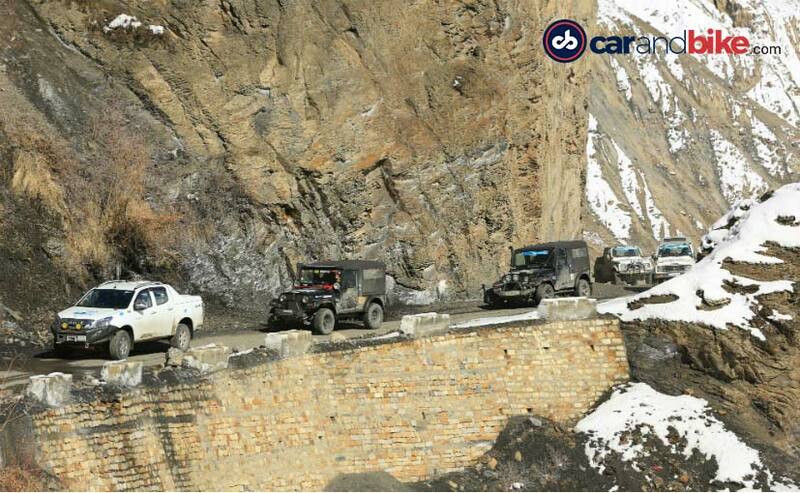 Day 3 saw our convoy of 12 SUVs making its way to the town of Kaza, which is in the heart of Spiti valley, by the Spiti River. 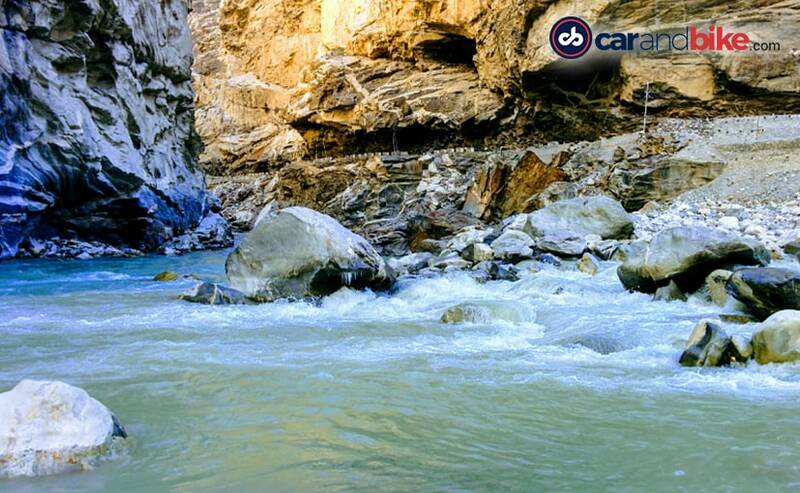 About 12 kilometres from Pooh, you reach Khab, which is the confluence of Spiti and Sutlej Rivers. The Spiti is blue in colour, drawing water from glacial melts while the Sutlej is greyish in colour, originating in Tibet and making its way to Punjab. Going up, the road took a turn for worse as the BRO was blasting roads further ahead. The convoy waited for about 15-20 mins before resuming course. The first town that we crossed after Pooh was Nako, and then made our way to Tabo. We briefly stopped at the Tabo monastery which is 1,023 years old, to be precise and has numerous fresco and stucco paintings done on mud walls. It actually takes your breath away! Paying our respects at the Tabo Gompa, we finally crossed into proper snow territory. Nothing could prepare us for the views head of Shichling. Vast flatlands with mountains on one side and blanketed in snow made for some of the best views I have ever seen! Words can barely do justice to the sheer majesty of the roads from Shichling to Kaza, which were draped in white all throughout. The distance was barely 25 kilometres but took us close to 3 hours as we battled heavy snowfall and high altitudes. Finally, after a long day of driving, we reached our destination, Kaza. We actually made it to heart of Spiti in winter! This perhaps, has been one of the toughest assignments I have ever done, but also it was the most fulfilling too! The two and a half days that we stayed at Kaza, temperatures ranged from -8 degree Celsius, which was the highest, to -28 degree Celsius, which was the lowest. One needs to keep diesel engines idling throughout the night so that the diesel doesn't freezes. And yes, using diesel anti-freeze solution is not fool-proof either. It is best to not shut the engines throughout the night. The Sakya homestay at Kaza was super cosy. Run by a gentleman named Tsering and his family, we experienced hospitality par excellence. We were fed lip-smacking, fresh home-cooked food and after a tough couple of days, indulged ourselves with the local brew called 'Angoori'. The homestay also had two dogs, a gorgeous German shepherd whose name was Bruno and a tiny mongrel who went by the name of ChinChi. Within no time, the two dogs made friends with us rambunctious lot, asking for pets and belly rubs. The next day, we got up late, had a leisurely breakfast and decided to make our way to the famous Key Monastery, which is the largest and the oldest monastery in Spiti. It is perched atop a mountain and is at an altitude of 13,668 feet. Like the Tabo Monastery, Key also follows the Gelugpa sect of Buddhism. After visiting Key Monastery, we went further up till Chicham Bridge, which is the highest bridge in Asia and was completed in 2017. 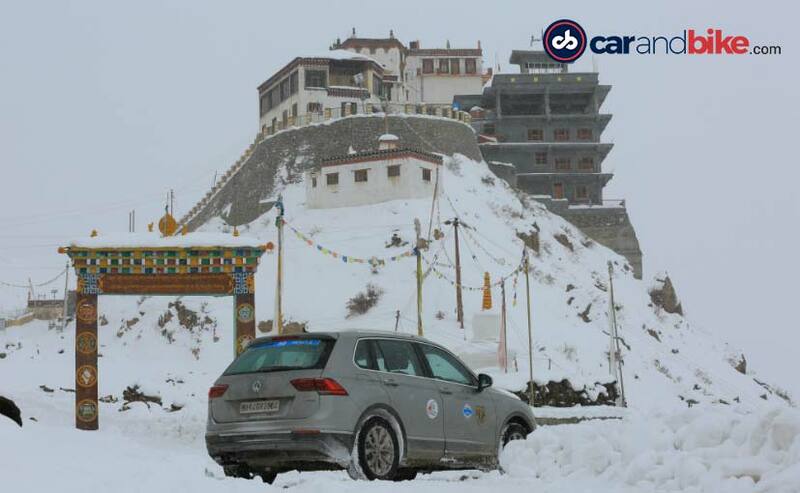 Again, it was a great opportunity for us to click photographs and get a taste of proper Spiti winter. It was while returning back to Kaza that I got the fright of my life! 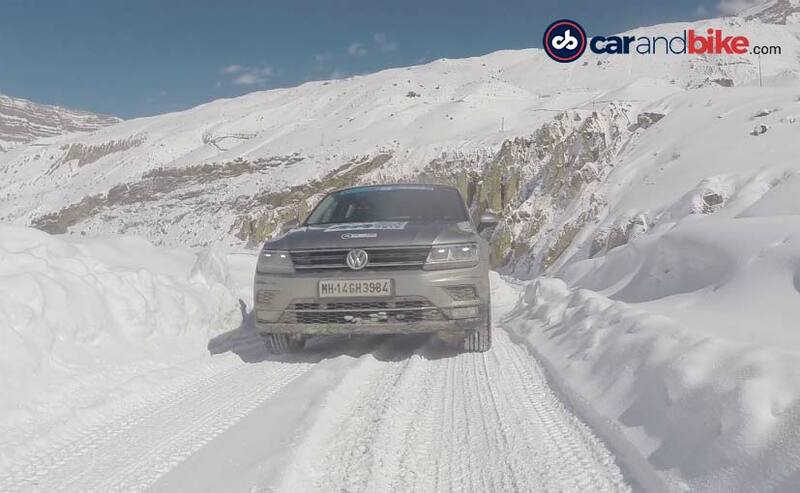 On a particularly tricky section, the Volkswagen Tiguan lost grip and spun on a precariously narrow road, with a wall of snow on the left and a deep drop on the right. Thankfully, the car spun to the left and wedged itself into the snow. Help was immediately at hand. 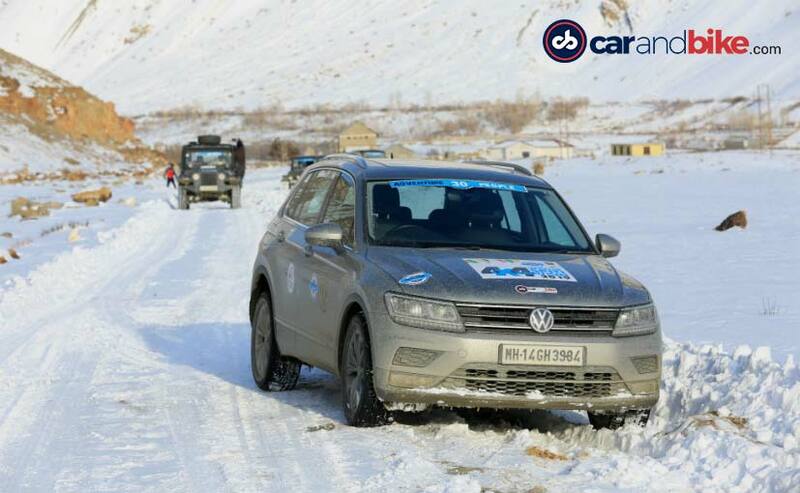 The boys from Bengaluru immediately wrapped a tow strap around the rear left tyre and got the Tiguan out of the snow. Whew! That was close! That was more adventure than I had bargained for! After spending a couple of days in Kaza and frolicking around the village, we started on our way back to Pooh. On the way Azam and I made friends with a bunch of stray dogs and also spotted a herd of Himalayan Blue Sheep or Bharal, which is indigenous to the mountains of Spiti, Ladakh and Tibet. 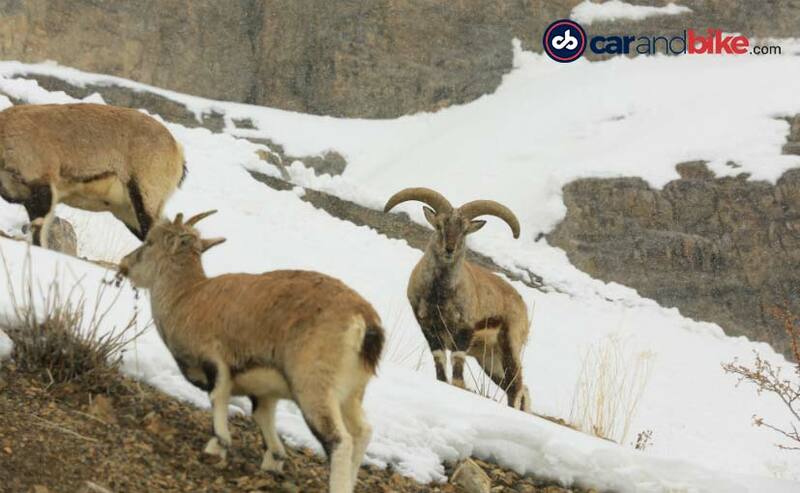 The males have twirled horns, making them look similar to mountain goats. Barely 34 kilometres from Pooh the road was blocked by two massive mounds of glacial ice. A mountain to the left and a steep drop to the right! The only way forward was to clear the ice and keep going. The team started work on it, with people taking turns with a couple of shovels. Soon, personnel from BRO joined us and the road block was cleared in less than an hour. Soon enough, all 12 vehicles in our convoy passed through amidst cheers. From Pooh, we made our way back to Narkanda! 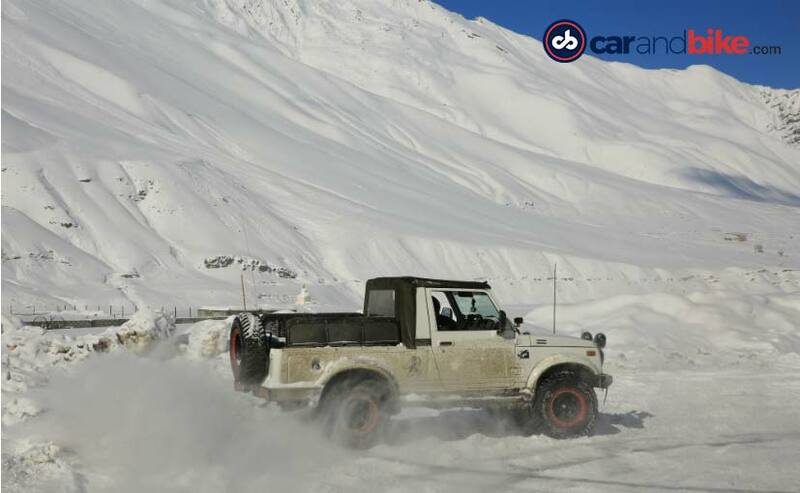 Upon reaching at Narkanda, the snowfall had subsided and the drive was a breeze! Our expedition leaders and host Sanjeev Dogra and Puneet Sharma threw a grand party, complete with delectable food and drinks. The temperature was still close to zero degrees but the night felt warm amidst all the jubilation. The folks at 'Adventure People' took really good care of us and the team from Bengaluru went beyond their way to help us out and give us a few tips too when it came to off-roading. The next morning, it was time for us to drive back to Delhi and get back to work. The week that we spent driving from Delhi to Kaza and back, was pure nourishment for the soul and filled us up with vim and vigour. For me, mountains and snow have this inexplicable therapeutic effect which is unmatched. 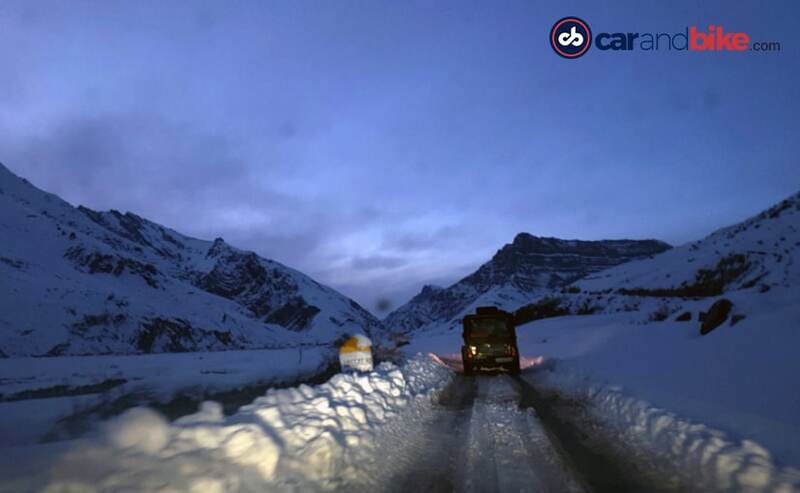 Driving to Spiti in winter is tough, perhaps among the toughest things you might ever do, but it is worth spending every penny and taking all the risks. 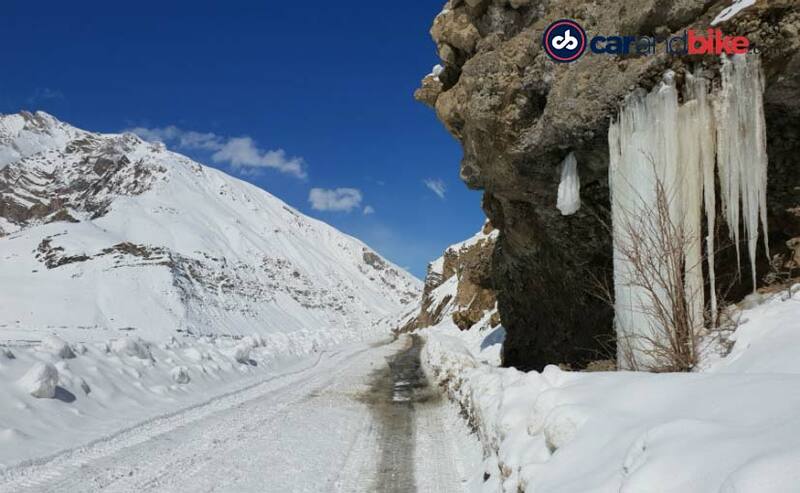 In winter, the Spiti landscape changes completely and is unlike anything you have ever seen! If you thought that the Volkswagen Tiguan is an urban, soft-roader SUV, think again! 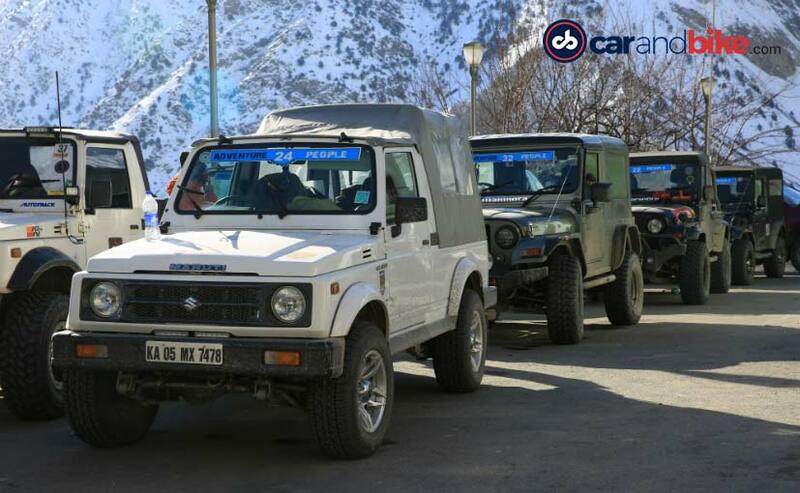 It might not be as hard-core as a Maruti Suzuki Gypsy or a Mahindra Thar, but it did go to Spiti and come back without a hitch. We did not need snow-chains, nor did we need diesel anti-freeze. 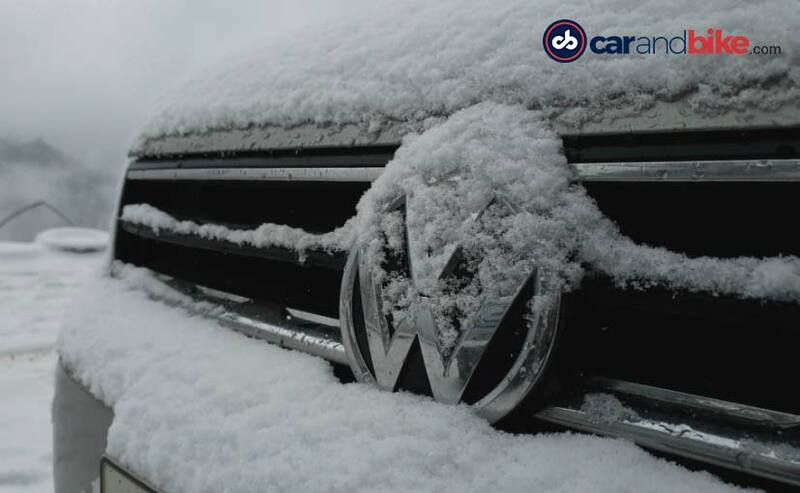 The 4Motion all-wheel drive system came in very handy and we really doubt if anyone else tested the 'Snow Mode' of the Tiguan so extensively! In fact, our calculation says that throughout our drive, we drove close to 900 kilometres on snow, with the snow mode on. The Tiguan performed well beyond our expectations. 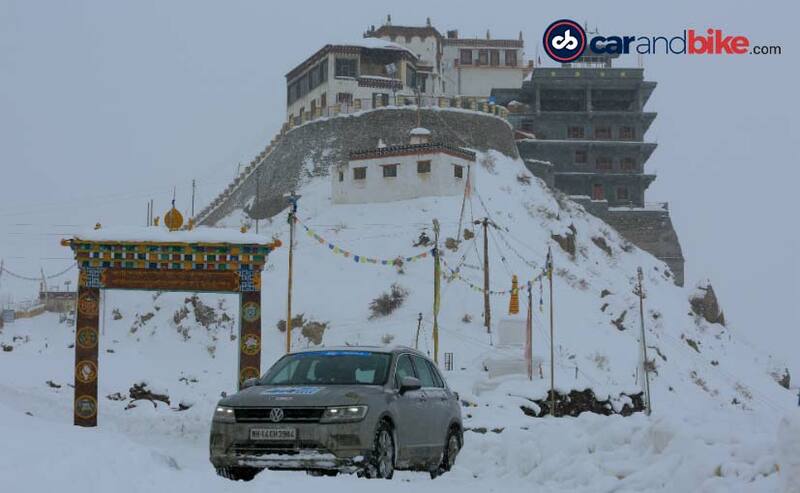 And should you own a Tiguan, you know where to head for your next driving holiday!